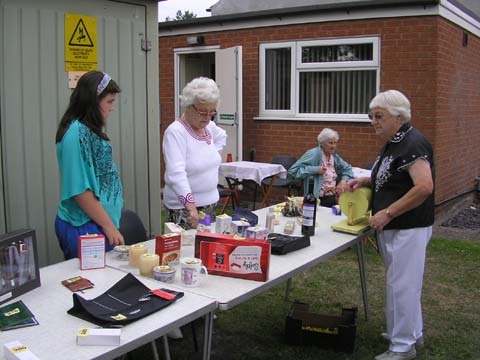 The Friendship Groups second fund raising event for 2011, a Summer Garden Party, took place during the afternoon of Saturday 30th July in the Spinney and the Recreation Room. 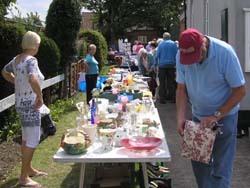 The weather was pleasantly warm and sunny and the event well attended. 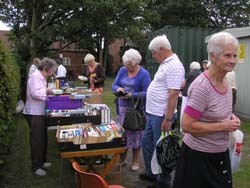 All the usual stalls of bric-a-brac, books, clothes and tombola were there along with the ever popular delicious homemade cakes (all donated). 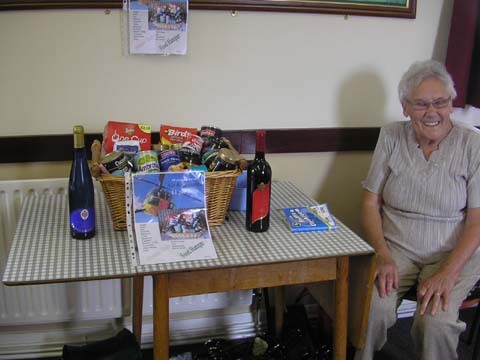 Two raffles were held, one with individual prizes and one for a large food hamper kindly donated by Kath Witcombe which was won by Hazel Richardson. 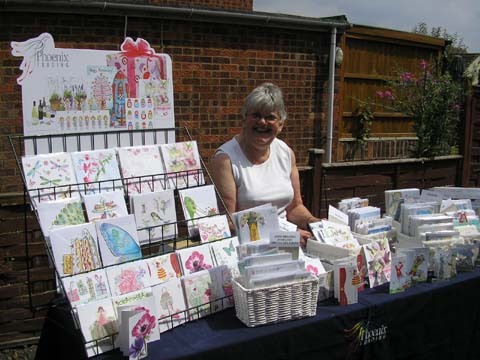 There was also a Phoenix Charity Stall run by Caroline Thomas with a donation to the Friendship Groups chosen charity. 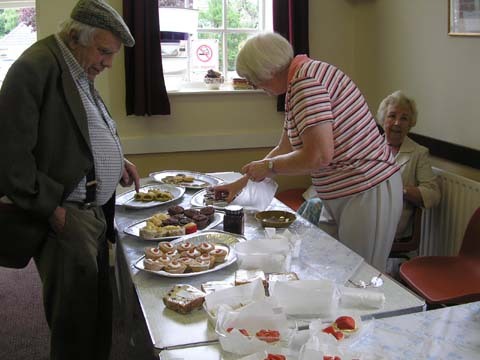 Light refreshments of tea, coffee and biscuits were available with seating inside and out for people to sit and relax. Special thanks go to all those who helped and supported in any way. Proceeds of the event were £600.72p and will go to Nottinghamshire Air Ambulance, one of the Groups two chosen charities for the year. A cheque will be presented at their meeting on 23rd September. 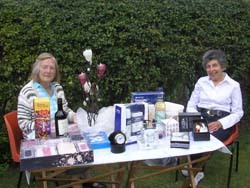 The Group held a Fundraising Coffee Morning, earlier in the year for their other chosen charity Mercy Ships, raising £400. Click here for the Friendship Group History.